Having hit and abandoned an Eritrean migrant on a lonely desert road in present-day Negev, Neurosurgeon Eitan finds his life plunged into chaos when the dead man’s wife, Sirkit, seeks him out to blackmail him with a strange demand. 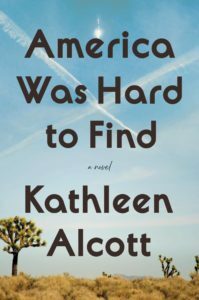 After this thrilling intro, the focus shifts from the crisis of the accident to its context and the questions it provokes, and the narrative takes long diversions to meditate on domestic life, privilege, discrimination, international politics, poverty, family dynamics and the conflicting forces that make us who we are. Although the plot continues to move forward, barring a few static scenes, it feels secondary to the ideas Gundar-Goshen wants to explore ... At their best, the philosophical explorations of Waking Lions are thought-provoking. The treatment of otherness is particularly rich as events bring liberal Jew Eitan into close contact with the Eritrean and Bedouin communities ... Yet the fluidity of perspective in the novel, which shifts between various characters’ viewpoints and that of a rather intrusive third-person narrator, sometimes within the same paragraph, is also problematic. While it can create a nice ambiguity, blurring the divide between the self and the other, it also has the side-effect of making characters sound disconcertingly articulate about their self-deceptions. Waking Lions, in a propulsive translation from Hebrew by Sondra Silverston, yokes a crime story to thorny ethical issues in ways reminiscent of Donna Tartt and Richard Price. Its motor doesn’t always purr—the sections in the middle unpacking Eitan and Liat’s troubled marriage are laborious. But it’s a rare book that can trouble your conscience while holding you in a fine state of suspense. 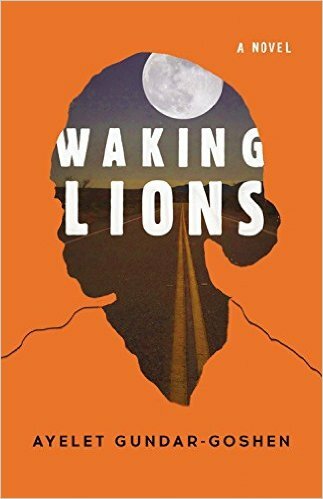 As a novel, Waking Lions itself is the product of a collision of cultures and genres. Translated from the Hebrew, it's a psychological suspense tale mashed with a social novel about the refugee crisis. Overall, it's vividly imagined, clever, and morally ambiguous, although, occasionally, Gundar-Goshen's plot seems bit contrived. (Eitan's wife, for instance, happens to be the Israeli police detective investigating the hit-and-run accident.) Those lapses, however, mean little in comparison to how deftly Gundar-Goshen complicates her characters here ... a smart and disturbing exploration of the high price of walking away, whether it be from a car accident or from one's own politically unstable homeland. What did you think of Waking Lions?